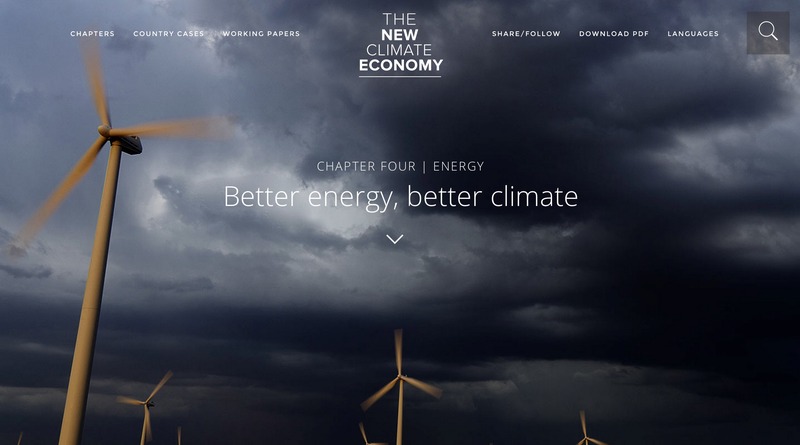 The New Climate Economy is a report produced by some of the world’s leading economists and political and business leaders outlining an economic pathway that includes higher global economic growth and a low-carbon economy. 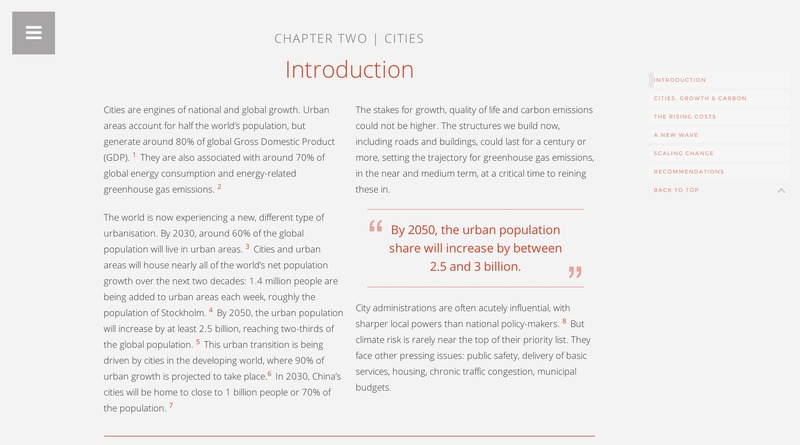 HabitatSeven was charged with producing the website and digital assets for the global launch of the report at the United Nations headquarters in New York. The site was launched by UN Secretary General Ban Ki-moon and former President of Mexico Felipe Calderón. 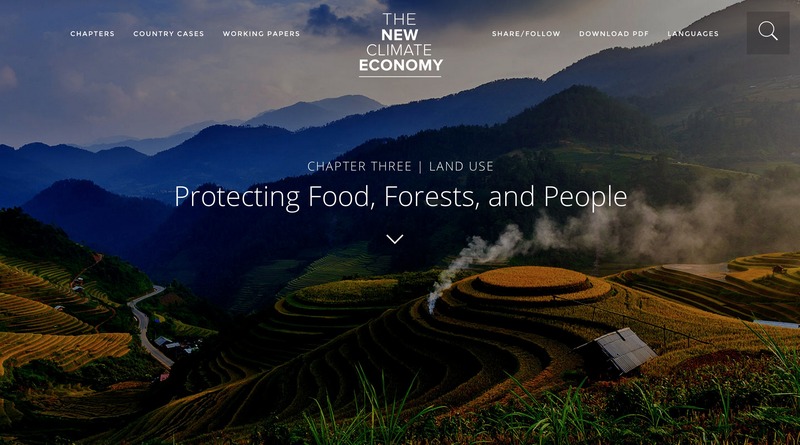 The Global Commission on the Economy and Climate is a major new international initiative to analyze and communicate the economic benefits and costs of acting on climate change. The Commission comprises former heads of state, finance ministers and leaders in the field of economics and business. The goal of the site was to create a highly shareable site around the content created for the report and a system that functioned across browsers and devices (smartphone, desktop, tablet). A swipe based approach was used in the design of the site to ensure ubiquitous usage across devices. The site was built on a Content Management System for easy input of content and in order easily input new language versions. 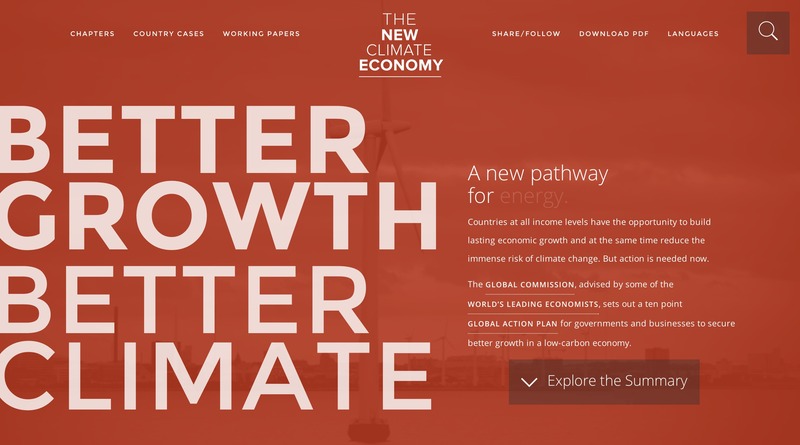 The Global Commission on the Economy and Climate’s flagship project Better Climate, Better Growth: The New Climate Economy Report had its global launch at the United Nations in New York. It featured Ban Ki-moon, Secretary-General of the United Nations, Felipe Calderón, former President of Mexico and Chair of the Global Commission and Jeremy Oppenheim, Program Director of the New Climate Economy project. © 2019 Habitat Seven Inc. All Rights Reserved.